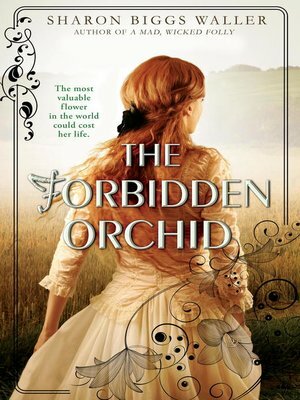 Staid, responsible Elodie Buchanan is the eldest of ten sisters growing up in a small English market town in 1861. The girls barely know their father, a plant hunter usually off adventuring through China, more myth than man. Then disaster strikes: Mr. Buchanan reneges on his contract to collect an extremely rare and valuable orchid. He will be thrown into debtors' prison while his daughters are sent to the orphanage and the workhouse. Elodie can't stand by and see her family destroyed, so she persuades her father to return to China once more to try to hunt down the flower—only this time, despite everything she knows about her place in society, Elodie goes with him. She has never before left her village, but what starts as fear turns to wonder as she adapts to seafaring life aboard the tea clipper The Osprey, and later to the new sights, dangers, and romance of China. She comes to find that both the world and her place in it are so much bigger than she'd ever dreamed. But now, even if she can find the orchid, how can she ever go back to being the staid, responsible Elodie that everybody needs?